In 2017, health-tech trends focused on finding solutions for patient empowerment through new payment structures, cost pressures, and system integration. Digital transformation is expected to overhaul the healthcare industry in 2018 by using personalized medicine and value-based care. While there are standard practices for treatment plans based on your medical needs, not all patients have the same misspellings and will benefit from treatment in the same way. For example with cancer, misspellings or mutations in important genes force the cells to grow out of control, eventually spreading throughout the body. As physicians progress through different therapies without knowledge on which will prove effective, valuable time is being lost. Precision medicine will help to deter unnecessary treatment, minimize detrimental drug events, and increase overall safety, ultimately helping the healthcare system to be more efficient. By using non-invasive monitoring, patient data is collected longitudinally across various time points. This is due to different sensors which track patient vital signs 24 hours a day, through wearable devices accomplished by blood and saliva monitoring techniques. Identifying correct treatments and tracking their impact as soon as possible helps open up opportunities to improve healthcare. Treatment strategies for patients need to evolve due to the changing of treatment pressures and other reasons. Having the ability to monitor the impact of treatment on a disease creates the opportunity to learn why a treatment is not working and what new course of action should be taken. 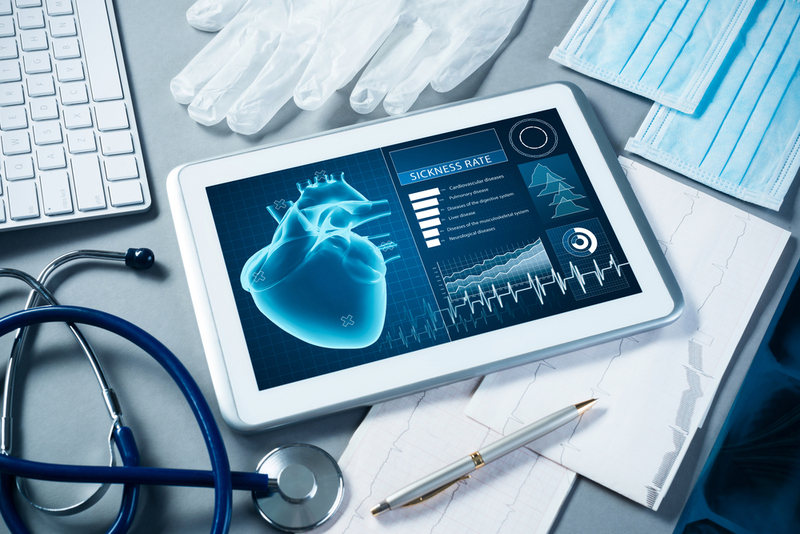 The growth of Internet of Medical Things (IoMT), along with mobile and wearable devices, allows healthcare providers to access a patient’s medical reports from anywhere quickly. The data retrieved can then be used to identify health dangers and provide patients with lifesaving preventative treatment almost immediately. Mobility and cloud access has improved the way patients and doctors interact. Most doctors use smartphones and medical apps on a regular basis. However, hospitals, insurance companies, and doctors offices are now storing medical records of the patient into the cloud. Mobile devices can now perform ECGs, DIY blood tests, and serve as a thermometer. Patients are also able to enter their checkup/health results which doctors can quickly access as well as retrieve their test results 24/7. The rise of digital technology within the healthcare industry and the improvements in overall clinical care for patients are becoming more unified, and with that, are improving the way healthcare facilities function as a whole. At HealthCare Support (HSS), we understand the continually changing recruiting and hiring challenges healthcare organizations face while trying to keep up with the demands of the always evolving healthcare industry. We’re here to help you by offering several placement options. For more information on the services we provide, call us today at 1-888-219-6285.